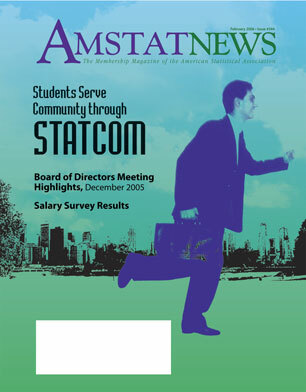 “Students Serve Community Through STATCOM” provides an introduction to STATCOM. “Service-Oriented Statistics: What Can Students Do?” is a follow up to the February article and explains STATCOM at Purdue’s effort to spread the word of pro bono statistics. An article written for Purdue University’s Department of Statistics’ newsletter describing activities from 2004-2005. An article written for Purdue University’s Department of Statistics’ newsletter in 2006.